Competitiveness at work has been identified as the main cause of stress in the work environment. Statistics show that one in five people may suffer from some form of mental health problem at work. Problems such as these have a direct impact on worker productivity, causing absenteeism, fatigue, and a decrease in the quality of service delivery. Currently, burnout syndrome is a great psychosocial problem, and has been causing concern on the part of researchers and health institutions, owing to the seriousness of its consequences at the individual and organizational levels . In the United States, the term “burnout” emerged in the 1970s when Herbert J. Freunderberger (1974) realized that many of the volunteers with whom he worked had a decreased mood, with a later demotivation, and then physical and mental exhaustion. It was during this period that hypotheses began to emerge on the increase in pressures and, consequently, labor stress, especially in health professionals, such as doctors, nurses, and nursing technicians . In the 1980s, psychologists Cristina Maslach and Susan Jackson began to study the emotions of health professionals in the work environment and defined “burnout” as physical and emotional fatigue resulting in a decrease or loss of motivation for work that can evolve to total exhaustion and a sense of failure . In 1982, they created the Maslach Burnout Inventory with the intention of evaluating three main components: depersonalization, reduction of personal fulfillment, and emotional exhaustion of the individual. Subsequently, research on burnout syndrome has gained traction, being investigated in several countries, such as Germany, Spain, Italy, Canada, France, Israel, Poland, Sweden, and England . Burnout syndrome is the continuous exposure to work-stress associated with poor working conditions, in which pleasure and work performance decrease [4, 5]. In view of this, it is considered a multi-causal pathology, as it is related to excessive exposure to prolonged stress; it has identified aspects related to several stressors in the work environment that imply the commitment of the worker’s health triggering the disease, evaluated according to three components: depersonalization, exhaustion emotional, and professional achievement [6-8]. According to the World Health Organization, mental health can be considered as a state of well-being in which the individual is able to use their own resources and skills to recover from the stress of everyday life, without compromising productivity . Stress is a system of adaptation of the individual to any unforeseen situation and prepares them for a quick and effective action . In the health area, nursing stands out as one of the most exhausting professions owing to different circumstances in professional practice causing physical and emotional exhaustion. The nurse is expected to perform patient care with patience and empathy, all in a highly stressful environment, with few resources and an excessive workload, thereby requiring nurses to find a balance between these factors that interfere in their working life . Thus, nursing is one of the most stressful occupations. It is common to find burnout syndrome in health professionals, especially in the field of nursing . Some professionals manage to deal with the symptoms, but those who do not adapt to the long-term working conditions, insufficient number of professionals, and poor communication tend to feel physically and emotionally worn out . For nurses, burnout reduces the ability to provide care. Every day, nurses face the dilemma of being human, empathetic, and sensitive, in a work environment of many responsibilities . Situations discovered by professionals in patients, such as costly recovery or non-recovery, as well as the lack of capacity to deal with dark situations, such as death, can create a feeling of impotence and professional dissatisfaction . Therefore, burnout prevention in health professionals, including nurses, has an important significance in promoting the physical and mental health of these service providers . Burnout affects personality, performance, and productivity at work. The emotional responses that the disease can cause in the long run lead to a mental strain that will hardly neutralize spontaneously [12, 13]. In this context, this study aimed to analyze the actions of prevention and control in the workplace to reduce burnout in nurses. The world health organization states that, most companies worldwide are more concerned with investment in medical treatments, when the recommendation is that they should invest more in prevention and in improving the quality of the work environment, to protect the well-being and health of workers. The symptoms of burnout syndrome are characterized initially by the inability of the individual to cope with stressful work situations . The considerable professional turnover that is verified in some sectors and institutions makes the results appear limited when it comes to interventions in this area . Recognition of other mental pathologies that can influence the development of burnout is crucial . Symptoms of distress, coping, work limitations, job satisfaction, use of substances to relieve stress, alcohol consumption, and understanding of depression and anxiety are some of the points to be considered . The database search yielded 553 references: 82 in PubMED, 145 in Lilacs, 247 in Science Direct, 29 in Scielo, and 50 in Medline. After analyzing them according to the eligibility criteria, 30 studies were selected, as shown in Fig. (1). Fig. (1). Flowchart showing the selection of studies for the integrative review (Prisma 2009 Flow Diagram). Fig. (2). Chronological analysis of selected studies for research. 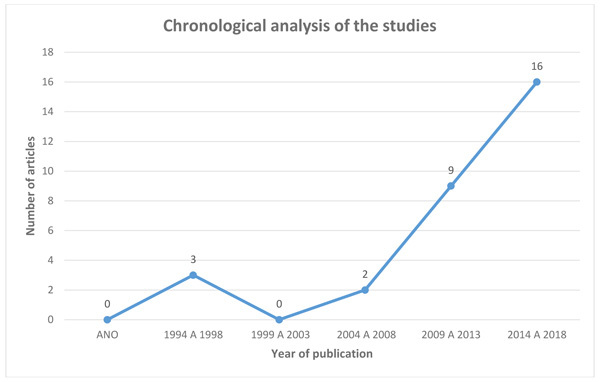 The chronological analysis of the selected studies (Fig. 2) showed that, for the year of publication, the articles that were part of the sample behaved as follows: from 1994 to 1998, three articles; from 1999 to 2003, no article; from 2004 to 2008, 2 articles; from 2009 to 2013, nine articles; from 2014 to 2018, 16 articles. Thus, in the last 10 years, there is greater concern with the research on burnout in nurses. The selected articles were categorized as focused on the individual, group, and organization, according to adaptations of the descriptions of Salanova and Llorens (2008) . In the individual category, the interventions aimed at improving and qualifying personal internal resources through active behavior on the part of the individual. The interventions were grounded on empowering nurses through knowledge and the development of new skills. In the group category, the interventions aimed to improve communication, interpersonal relationships, and teamwork, to result in better patient care and developing resilience. In the organizational category, the objective was prevention with a focus on education, health promotion, and improvement and strengthening of the resources of social collectives. The idea was to break the isolation, improve the processes of socialization, and empower social support. The interventions in this category of studies also turned to the context-based self-reflection of the individual, emphasizing actions of cooperation. Review studies in other professional categories have shown that 80% of 25 intervention programs evaluated were useful in reducing burnout in general or in one of its components .This result is confirmed in interventions focused on prevention or treatment, or those aiming to improve the strategies of occupational stress management. According to these studies, teaching workers to manage the stressors in their work environment allows a change in the perception on certain stressful characteristics of work, thereby reducing somatic complaints. Another similar intervention identified that the greatest effect of intervention occurs with increased behavioral control over work . In this way, the authors concluded that teaching the participants on the management of stressors in their work environment would allow them a change in the perception of these stressors, thereby reducing the tensions and complaints related to occupational diseases. Table 1. Main results found in the articles selected for the review. Afecto, M.C.P. Teixeira, M.B.,  Intensive Unit Care 26 Stress Inventory for Nurses (SIN). Development of teamwork and improvement courses . The courses help to minimize the labor stress. Alexander, et al. Institutional Review Board (IRB) 40 Maslach Bournout Inventory Yoga The benefits and limited risk of yoga can help employee-level outcomes, including mental health. Berg, A.; Hansson, U. W.; Hallberg, I.R.,  Hospital 39 Maslach Burnout Inventory. (MBI) Nursing supervision and implementation of individually planned care Boredom and Burnout decreased significantly after the intervention. Darban, F.; Balouchi, A.; Housein, S.  Hospital in Iranshahr(Iran) 60 Jacson and Malach Burnout Inventory Communication skill training. The training proved to be effective in reducing Burnout. Fillion, et al. Nurses from Three Regional Districts of Quebec, Canada 109 General Satisfaction subscale Intervention focused on the meaning of job satisfaction Nurses have improved their perceptions about their jobs, generating benefits, personal growth and reduced burnout. .
Gasparino, R.C. ; Guirardello, E.B.,  Hospitals (two tertiary and one secondary) 278 Nursing Work Index Revised - Brazilian Version and the Maslach Burnout Inventory . Changes in the workplace The management of good professional practices, favor the decrease of Burnout in nurses. Hersch, et al. New York Hospital 104 Mental Health Scale Web-Based Stress Management Program The results show benefits of the program in reducing stress and Burnout. Khamisa, et al.,  Private and public hospitalsin Gauteng province (South Africa) 895 Questionnaires Strategies to manage stress, improving job satisfaction. Creating better work environments and adequate work resources will reduce Burnout. Kim, Y. A.; Park, J. S.,  Hospitals 32 Validated questionnaire Program to combat fatigue of compassion The program was effective in reducing the fatigue of compassion among nurses . Kubota, et al. Aichiprefecture, Japão 96 Maslach Bournout Inventory (MBI) Psycho-oncological training program There was no significant result regarding Burnout. Kutney-Lee, et al. 137 hospitals in Pensilvania(USA) 67.000 Search by email Improvements in work environment. Improvements in the work environment are associated with low stress rates. (MBSR) Mental Attention Training The training achieved an improvement in Burnout symptoms, relaxation and life satisfaction. Markwell, et al.,  Hospital 210 Holistic Care Reiki, Healing Touch, Therapeutic Massage, Jin Shin,Jyutsu ( Art of release of tensions) and Guided Images. Holistic interventions in the workplace, relieve stress and provide some relaxation for nurses . Mealer, et al. Intensive Unit Care 27 Malach Bournout Inventory (MBI) Resilience training program. Resilience training has improved levels of depression, anxiety, and burnout. Melchior, et al. Primary health care institution 161 Maslach Bournout Inventory (MBI) Basic Nursing Care It did not result in significant burnout reduction. Moody, et al. Pediatric oncology clinic 47 MBC, Mindfulness-based Course Mindfulness-Based Course The Course based on mental alertness can relieve Burnout symptoms. Morita, et al. Seirei Mikatahara General Hospital 76 MalachBournout Inventory (MBI) Spiritual Pain Assessment Sheet The program achieved improved self-confidence of nurses and decreases Burnout. Orly, et al. Regional Hospital of Southern Israel 36 Mental Health Scale Cognitive-behavioral interventions The Interventions reduces stress reactions at work. O ¨ Zbas¸ A. A.; Tel, H.,  Cancer Hospital 82 Empowerment Scale and Maslach’s Burnout Inventory (MBI) Psychological Empowerment Program . The program decreases levels of burnout in nurses . Pipe, et al. Mental health institution 32 Caring Efficacy Scale Meditation Participants in the meditation course had significantly more improvements in stress reduction. Redhead, et al. Mental health unit. 42 Maslach Bournout Inventory (MBI) Psychosocial intervention The program resulted in a small but positive change in the levels of Burnout in nurses . Ross, et al.,  Harvard Medical School and Brighamand Women’Hospital 40.000 Monitoring of healthy behavior of nurses Incentives to exercise, eating a healthy diet, reducing stress and improving interpersonal relationships . Recommendation for nurses by assuming a healthy lifestyle to reduce stress. Silva, P. O. M.; Funchal, B.,  Public hospital 52 Maslach Bournout Inventory (MBI) Public management policies in nursing The results show that satisfaction with the environment reduces emotional exhaustion at work. Sabancıogullari, S.; Dogan, S.,  Universitary hospital 310 Professional Self-Concept Inventory (PSCI) Professional identity development program The program increased the development of professional identity and decreased Burnout. Zadeh, et al. National Institutes of Health 126 10- Welfare Program Sessions.
. It is necessary to provide supportive care, for coping with Burnout on an ongoing basis. The amount of stress and burnout experienced by nurses is suggested to be a function of the nurses’ work environment and coping resources. The way a stressful event is perceived depends on individual characteristics, resilience, and coping skills . The interventions analyzed were effective in reducing burnout levels, based on the success of the interventions in meeting the objectives proposed. The success of the interventions was based on repetition through the method they delineated, from which over time it was possible to reduce levels of stress [5, 20]. The professionals analyzed by the studies reviewed usually worked in a hospital environment. The hospital environment contains stressors, such as death situations, emergencies, and several associated functions that lead the professional to develop a high stress load. This fact increases the chances of occurrence of burnout syndrome . Several strategies can be employed to reduce burnout in nurses. Mealer et al. reported a resilience training program consisting of teaching professional techniques for dealing with cognitive behavior and increasing their resilience to the challenges demanded by the nursing profession. They proposed that resilience can be taught, developed, and strengthened through coping skills training . Pipe et al. ; Oman, Hedberg, and Thoresen, suggested that meditation is also a strategy that helps reduce stress, especially in nurses . The strategy is based on the perception of stress, and with meditation practice, stress becomes easier to deal with, regardless of the source of the stress. Yoga practitioners, according to Alexander et al., after eight weeks of practice, reported less emotional exhaustion and depersonalization, thus demonstrating the effectiveness of this type of action to combat burnout in nurses . Mackenzie, Poulin, and Seidman-Carlson, presented a mental health program for nurses: audiorecorded mental-exercise exercises, which the nurses listened to for 10 minutes a day, five days a week, for four weeks; this intervention demonstrated effectiveness in reducing burnout . A professional identity development program was conducted by Sabancıogullari and Dogan. The program focused on developing professional self-image and positive professional thinking, setting professional goals, evaluating the professional self, developing short-term professional goals, brain programming, and developing successful strategies to increase job satisfaction. Even online interventions showed significant results . In a study by Hersch et al., the application of seven intervention modules via the web allowed for improvements in the coping strategies normally experienced by nurses . The program consisted of sending e-mails to the nurses, who reported the main stressors of their work environment. The nurses subsequently received directions on how to deal with stress at work. Markwell et al. pointed to such activities as Reiki, Touch of Healing, Therapeutic Massage, Jin Shin, Jyutsu (Art of Release of Stress), and Guided Images, as promising interventions for stress . Another possibility for intervention in the prevention of work stress is centering actions on the meaning of job satisfaction and quality of life. Fillion et al. evaluated the impact of this action on palliative care nurses . The evaluated group participated in a pre-test and three months of follow-up. The tests were applied by facilitators (psychologists) who evaluated how much emotions and humor can diminish nurses’ stress. According to Kim and Park, compassion fatigue is a stress type that can evolve to burnout . They proposed a Compassionate Fatigue Program that aimed to reduce the sense of empathy and compassion of nurses in Korea to avoid the emotional stress experienced by practitioners. Ross et al. formulated a program to encourage physical activity for nurses, called Nurses Living Fit, in which nurses completed 12 hours of weekly exercise and received information on healthy lifestyles, nutrition, and appropriate hours of sleep . Kutney-Lee et al. reported that changes in nurses’ work environment over time may lead to decreased burnout rates and job dissatisfaction . Gasparino and Guirardello  found that a work environment that does not favor the professional practice of nurses can benefit the emergence of burnout. In a study carried out with three hospitals in São Paulo, Brazil, the hospital that favored the nurses’ work environment had the lowest rates of burnout. Darban, Balouchi, and Housein  concluded that communication skills training decreases the level of burnout in nurses. Kubota et al. 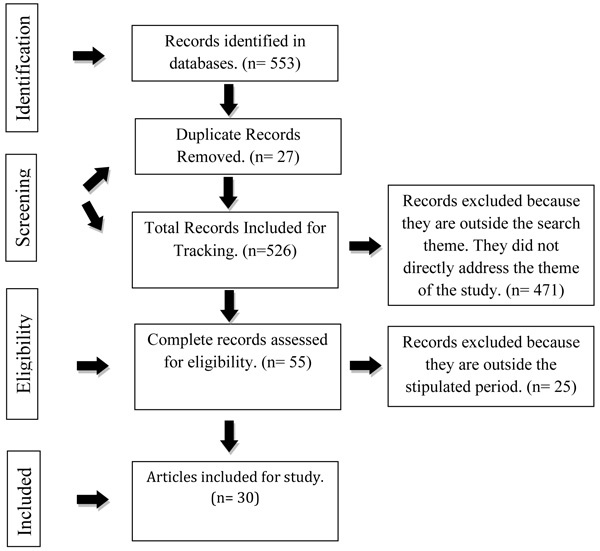 observed changes in self-reported confidence, knowledge, and attitudes regarding common psychological problems after the implementation of a program for psychological training in oncological nurses. The nurses were evaluated between pre-intervention and three months post-intervention. Their secondary outcomes were work-related stress reduction and burnout, which were not significant in several cases. The oncological nurses participated in a 16-hour program conducted as two one-day meetings over two consecutive weeks. Another purpose of the program was to train nurses to better serve patients . Ross et al. implemented a program of physical activity incentive for nurses called Nurses Living Fit that involved 12 hours of weekly exercise and information provision on healthy lifestyle, nutrition, and adequate sleep. The program was effective in reducing the prevalence of overweight in the participating nurses after the 12-week program ended . Khamisa et al. presented the correlation between burnout, work satisfaction, and the general health of nurses; they concluded that strategies for stress management and job satisfaction can lower the burnout level in these professionals . Table 2. Distribution of the types of interventions by categories adapted from Salanova & Llorens (2008) . Another instrument of burnout prevention is the cognitive or psychological aluation applied in nurses. Pereira and Gomes applied the following scales to evaluate the stress in health professionals: Demographic Questionnaire, Maslach Burnout Inventory, Human Services Providers questionnaire, Beck Depression Inventory, and Cognitive Assessment Scale. The data were evaluated by psychologists, and statistical analysis was done to assess the level of burnout in nurses. They aimed to intervene with the most stressful factors in the places of work . The study showed the importance of cognitive assessment to shed light on how professionals react to stress situations in their workplace. Occupational stress in the health field is directly related to specific situations. Issues of relationship, ambiguity and conflict of functions, double working hours, and pressures undertaken by superiors , as well as poor working conditions, lack of material resources, and equipment without proper maintenance, contribute to frequent damage or inappropriate improvisations, causing serious errors that compromise patient care . This study focused on strategies to minimize and control burnout symptoms among nursing professionals. The review identified varied interventions encompassing individual, group, and organizational actions, with a significant prevalence of group actions. The results indicated that the strategies used to cope with burnout were, for the most part, effective, with some demonstrating greater success than others. The various intervention strategies presented in this study can be used to reduce the effects of burnout among nurses. From the 30 reviewed studies, the results did not obtain satisfactory improvement in burnout in only three interventions: 1) Psycho-oncological training program (Kubota et al.) ; 2) Systematic clinical supervision (Palsson et al.) ; and 3) Basic nursing care (Melchior et al.) . The assessments were justified by the following variables: sample size, work environment, and working hours. Maslach C, Jackson SE. The measurement of experienced burnout. J Occup Behav 1981; 2: 99-113. Mealer M, Conrad D, Evans J, et al. Feasibility and acceptability of a resilience training program for intensive care unit nurses. Am J Crit Care 2014; 23(6): e97-e105. Khamisa N, Oldenburg B, Peltzer K, Ilic D. Work related stress, burnout, job satisfaction and general health of nurses. Int J Environ Res Public Health 2015; 12(1): 652-66. Sá AMS, Silva POM, Funchal B. Bournout: O impacto da satisfação no trabalho em profissionais de enfermagem. Psicol Soc 2014; 26(3): 664-74. Berg A, Hansson UW, Hallberg IR. Nurses’ creativity, tedium and burnout during 1 year of clinical supervision and implementation of individually planned nursing care: Comparisons between a ward for severely demented patients and a similar control. Ward J Adv Nurs 1994; 20(4): 742-9. Orly S, Rivka B, Rivka E, Dorit SE. Are cognitive-behavioral interventions effective in reducing occupational stress among nurses? Appl Nurs Res 2012; 25(3): 152-7. Pipe TB, Bortz JJ, Dueck A, Pendergast D, Buchda V, Summers J. Nurse leader mindfulness meditation program for stress management: A randomized controlled trial. J Nurs Adm 2009; 39(3): 130-7. Sabancıogullari S, Dogan S. Effects of the professional identity development programme on the professional identity, job satisfaction and burnout levels of nurses: A pilot study. Int J Nurs Pract 2015; 21(6): 847-57. Fillion L, Duval S, Dumont S, et al. Impact of a meaning-centered intervention on job satisfaction and on quality of life among palliative care nurses. Psychooncology 2009; 18(12): 1300-10. Awa WL, Plaumann M, Walter U. Burnout prevention: A review of intervention programs. Patient Educ Couns 2010; 78(2): 184-90. Redhead K, Bradshaw T, Braynion P, Doyle M. An evaluation of the outcomes of psychosocial intervention training for qualified and unqualified nursing staff working in a low-secure mental health unit. J Psychiatr Ment Health Nurs 2011; 18(1): 59-66. Kim YA, Park JS. Development and application of an overcoming compassion fatigue program for emergency nurses. J Korean Acad Nurs 2016; 46(2): 260-70. Pålsson MB, Hallberg IR, Norberg A, Björvell H. Burnout, empathy and sense of coherence among Swedish district nurses before and after systematic clinical supervision. Scand J Caring Sci 1996; 10(1): 19-26. Günüşen NP, Ustün B. An RCT of coping and support groups to reduce burnout among nurses. Int Nurs Rev 2010; 57(4): 485-92. Melchior ME, Philipsen H, Abu-Saad HH, Halfens RJ, van de Berg AA, Gassman P. The effectiveness of primary nursing on burnout among psychiatric nurses in long-stay settings. J Adv Nurs 1996; 24(4): 694-702. Moody K, Kramer D, Santizo RO, et al. Helping the helpers: Mindfulness training for burnout in pediatric oncology--a pilot program. J Pediatr Oncol Nurs 2013; 30(5): 275-84. Morita T, Tamura K, Kusajima E, et al. Nurse education program on meaninglessness in terminally ill cancer patients: A randomized controlled study of a novel two-day workshop. J Palliat Med 2014; 17(12): 1298-305. Özbaş AA, Tel H. The effect of a psychological empowerment program based on psychodrama on empowerment perception and burnout levels in oncology nurses: Psychological empowerment in oncology nurses. Palliat Support Care 2016; 14(4): 393-401. Poulsen AA, Sharpley CF, Baumann KC, Henderson J, Poulsen MG. Evaluation of the effect of a 1-day interventional workshop on recovery from job stress for radiation therapists and oncology nurses: A randomised trial. J Med Imaging Radiat Oncol 2015; 59(4): 491-8. Zadeh S, Gamba N, Hudson C, Wiener L. Taking care of care providers: A wellness program for pediatric nurses. J Pediatr Oncol Nurs 2012; 29(5): 294-9.